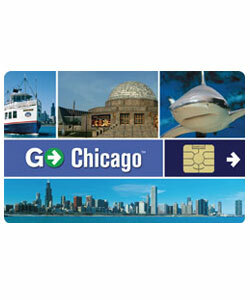 Go Chicago Card discounts - Hotels Etc. One Ticket, Over 70 Attractions, One Low Price. The Go Boston Card is your ticket to the best Boston has to offer. Special Offer: Save over 10%! ONE TICKET for ONE LOW PRICE to all the things you want to do in Chicago. There are 30 of Chicago’s best attractions and tours in our program including Sears Tower, Shedd Aquarium, the Field Museum, Shoreline Cruises, and more. See and do the things you want while saving money with our pre-paid pass.